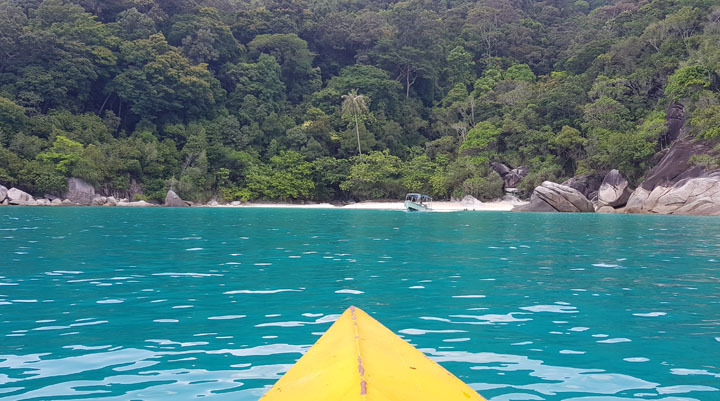 Perhentian Islands - go and experience all the best parts of a beach escape! For someone who has managed to avoid a beach holiday for the past three years or so, Perhentian was definitely a pleasant surprise. It’s not that I don’t enjoy a stroll along the beach or lazing around under some shade with a good book, but often the beaches that I’ve traveled to come with waters that are dirty, throngs of people and weather that’s too hot to be enjoyable. But Perhentian… Perhentian is what happens when you’re lucky enough to experience all the best parts of a beach escape. Be it Pulau Besar or Kecil, each has its own winning features that’ll keep you coming back for more. You can get a boat to the island, which is about a half an hour ride from the Kuala Besut jetty. Make sure you let the boatman know the name of your hotel as most of the accommodations are not connected by land, or at least not easily accessible with luggage and such. The first thing I noticed about the Perhentian was how blue the waters were, and how clear, when one get closer to it. Stepping off onto the jetty, my walk towards the hotel was punctuated with excited exclamations every time I saw corals and different species of fish, followed by the amused chuckle and “first time sini ke, dik?” remarks by water taxi drivers parked along the jetty. I just nodded, turned to my friend and said “…I guess I’m not going to hate this trip after all”. No truer words had ever been spoken. Typical of beachside resorts everywhere, you will find reclinable chairs and hammocks outside accommodations that call out to travelers who have to travel by air, land and water (often in that order) to get to the island. Depending on what time you arrive at the hotel, you can either to laze around the resort grounds or take a walk along the beach to other hotels, take a dip in the waters or even a short trek through the woods that connects to Perhentian Island Resort and Arwana Eco Resort. This side of the islands is more popular among honeymooners and families looking for a quiet, relaxing time. You won’t find much of a nightlife here but the restaurants offer barbequed dinner that you could enjoy with a drink or two. The atmosphere works wonders on tense shoulders of the overworked and stressed, though I wasn’t particularly impressed by the freshness of the seafood. However, the barbeque section also offers non-seafood items, so worry not. Other items on the menu such as nasi lemak, burgers and pastas are also worth a try. If you still have energy to spare, you can also hire a water taxi to take you to Long Beach, where all the action is. 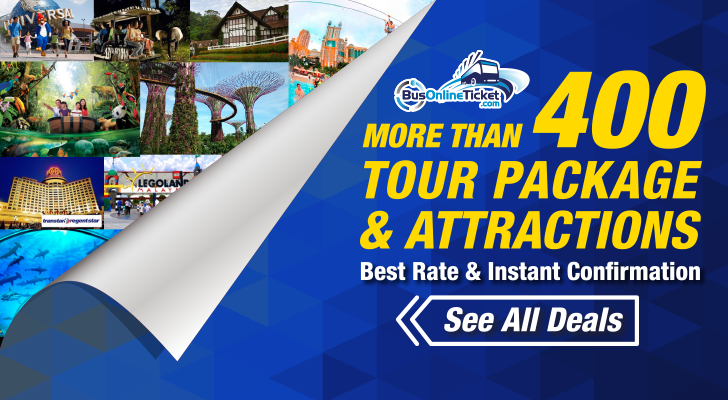 The ride should only cost you about RM10 to RM20 one-way, depending on which resort you’re staying at. Did I mention how still the waters of Perhentian Islands are in May? It’s still enough for two not-so-built newbie kayakers to be able to row for at least a half an hour without much complaints. We could have gone on longer (maybe) but we came across a private-ish beach with soft powdery sand and the cleanest waters I’ve seen ever. And that’s considering other parts of the islands during my four-day stay. The moment my friend and I saw the beach, the kayaking got more enthusiastic and the excitement to just dip in and pretend to know how to swim doubled. The hour we spent there was the longest I’ve ever voluntarily spent in sea water without complaining about dirt and rubbish! The best part of the whole experience? We were the only two people on the small stretch of beach the whole time. But don’t expect such luxury if you’re going during peak seasons (July to August). We were also lucky to go during the fasting month as there were significantly fewer tourists around. If you’re looking to try kayaking, just rent one from any of the shops along the beach. The prices are usually between RM30 and RM60, depending on how long you want to hire the kayaks for. 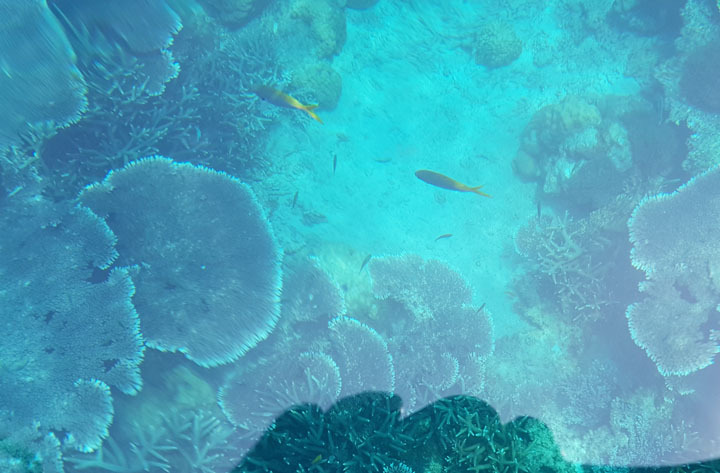 Perhentian is known to have some of the best diving spots in the world and it’s easy to see why. I didn’t quite have the time to get the diving licence I’d always wanted to, but even snorkeling opens your eyes to the wonders of the island’s sea life. Whether you decide to go for a snorkeling trip from the small or big island, the prices are about the same (ranging from RM30 to RM90), depending on the distance and number of stops you want to make. It’s quite difficult to choose between the packages as it offers different views and ecosystems. We ended up choosing a trip to the Rawa Islands (not to be mistaken with the one in Johor), with an added stop at the Turtle Point and boy, was that worth the additional RM10 we decided to pay. We weren’t very hopeful of seeing any turtles as our boat man, Murad, said that we might have to swim deeper to get a glimpse and he wasn’t going to stop for long. But lucky for us, just as we reached the point, a large turtle decided to surface to the delight of all on board. The chances of swimming with turtle, sharks, clownfish and much more is higher when you go for a diving trip, of course. If you’re looking to get a diving licence, be prepared to pay around RM950 to RM1,200. You can save a little more when you book a four-day-three-night package which includes accommodation. If you already have a licence, most places offer three trips a day to different sites, so just pick whichever suits you. The prices vary depending on several factors – the distance of the diving spot, the season, etc – so do research extensively before you commit. If partying and cheaper accommodation is what you’re looking for, this is where you should be. Though more upscale hotels and resorts are cropping up, the crowd here runs more towards backpackers and serious divers. This also means that you will find more places that offer diving excursions. No matter where you stay, most will end up on Long Beach at night. During peak season, it is said that there are restaurants and bars open on the whole stretch of the beach. Only three bars were open during my stay, but the atmosphere was relaxing, the booze cheap, and the fire shows in one of the bars were absolutely fascinating. If you’re a party animal, however, you should visit anytime between end of June and August for more fun and excitement. 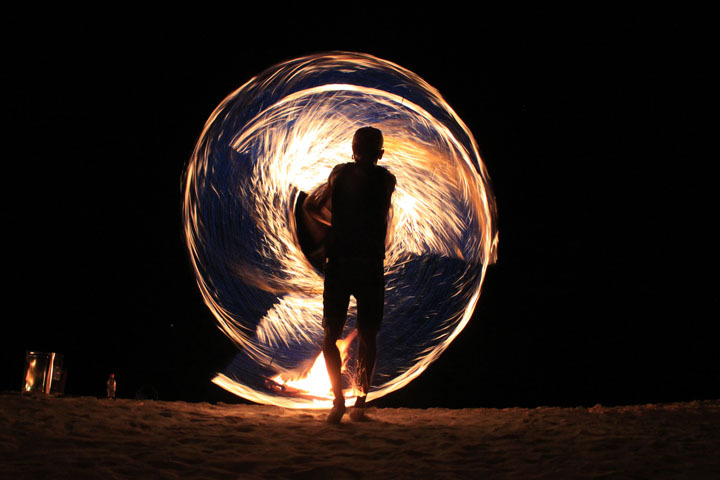 Whichever you choose – Perhentian Besar or Kecil – you cannot lose. Both have their own charm and are worth experiencing. The option to cross from one to the other also means you can get the best of both worlds, although a few days will not be enough to experience it all. Well, you’ll just have to keep going back, then! Book your trip on Traveloka here. Itulah. Saya mungkin akan jadikan sebagai acara tahunan kot sbb dah tahu cara nak ke sana.